Please choose one of these amazing buttons Karen designed and start planning! I enjoyed it a lot last year and discovered a lot of new blogs, books, movies. Hurray! I'm definitely in again... always love this event. So excited about this! I was looking forward to it as much as my own Japanese Literature Challenge 6. ;) I've already decided to read Bonjour Tristesse by Francois Sagan, hopefully I'll have time for others. Thanks, Tamara! Yes, I would love to participate again. I learn so much. Thank you. Excellent - I was hoping you would do this again, and I already have books lined up. Hi all, I'm so glad so many of you are joining in again. I will pop around soon and see if you've posted your intentions. Never know, there might be a surprise coming your way! I discovered your blog via Kelly's [Former] France Blog! I am a Frenglish girl living in France, and I've been hosting a weekly feature called "French Friday" for quite a while. 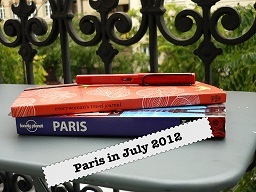 I signed up for it and can't wait -- although as you know, I've been packing in Paris posts since late May! I've got to save something new for July -- shouldn't be a problem! Loved this last year! Woo hoo! I'm in! I love Paris, France and everything French related and loved this last year. Sign me up! Sign me up-how could I resist this one. 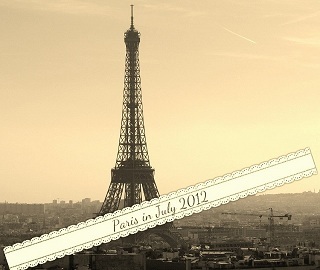 Too bad I am not really in Paris for July. Sign me up. I love this challenge and reading what everyone does in July. I plan to read The Toilers of the Sea by Victor Hugo and watch The Hedgehog based on the book, The Elegance of the Hedgehog, and does it count if I am making a scrapbook for my "French daughter" who lives in Paris. Just discovered this challenge. I have been called a "francophile" which could be a downer if you're an American. I lived two 4 year military postings in Germany and when living in Ramstein AFB tried to hop the train or bus to Paris as often as possible. I have a few hundred books and pictures of Paris and surroundings. Best way to spend July-watch the TOUR DE FRANCE! I signed up on Book Bath but am throwing my name in the beret on your blog as well. I already have one book and a cooking event planned. Thanks for the inspiration. C'est bon! Just love Paris, French movies, so down to earth not all this Hollywood hype. So look forward to participating. Thanks for hosting this wonderful meme! I linked and will enjoy visiting the others this month... 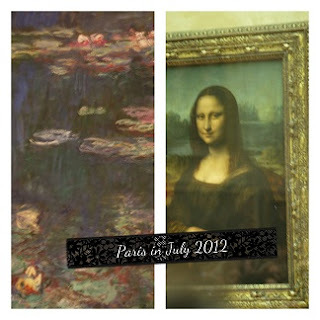 I have a daily Paris photoblog and count the days between my visits to Paris.